Working parents do it because they have to - so can we please stop blaming them for everything? I'm so sick and tired of reading about working parents being to blame for all children's problems. As reported yesterday, once again working parents are being blamed for damaging their children's health. 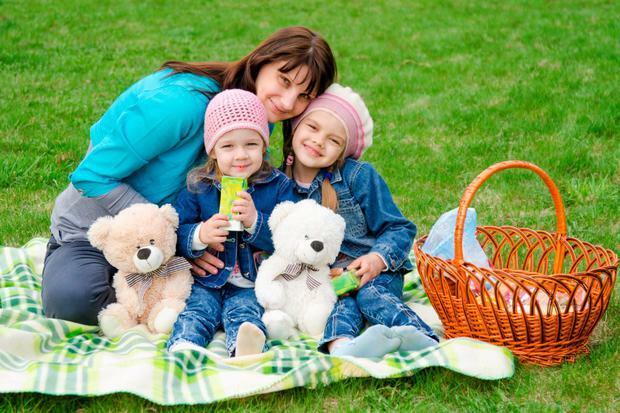 The study of Irish children by University College Cork and the Citizens Participation Unit of the Department of Children and Youth Affairs has shown that many children feel that their parents are too often absent and this lack of quality time is having a negative impact on their health. With one in four children overweight or obese in Ireland, working parents are being blamed for not being present enough. Let's be honest here, from the age of 10 or 11, a child knows that if they shove doughnuts, pizza and chips in their mouths regularly, they will get fat. They know that those foods are not healthy. They know that fruit and vegetables are important. So why do parents have to be blamed all the time? As my friend recently said: "I can't physically tackle my 13-year-old son to the ground to stop him from going to the shops. I can't stalk him at lunchtime in school to see what he buys. If he chooses to shove chocolate bars down his neck, what can I do?" Children of a certain age need to take responsibility for their actions. We educate them on the importance of healthy eating. We show them programmes on what happens when you eat too much sugar. We tell them over and over again that eating junk food is bad for you. They are not stupid, they get it. However, junk food tastes good and so they are tempted to choose it over healthy food. We cannot follow them around all the time. They need to man-up and take responsibility for their choices. It's also important to remember that most parents work because they have to. Mortgages, school uniforms, books, bicycles, laptops…these all need to be paid for. For most working parents, it's not a choice to work, it's a necessity. So can we please stop blaming them for everything that goes wrong? Working parents are stretched thin - yes, maybe too thin. Do they come in from work and always cook the most nutritious meal from scratch? No. Do all stay-at-home mums cook perfect meals from fresh ingredients every day? No. No one expects them to either. Everyone is busy in their own way, but working parents are usually the most stressed-out and time-poor. Yes, of course there are some parents who feed their kids chips and frozen burgers every night, and yes that is wrong and they should make more effort. But the majority of people try to do their best for their children and if that involves a day that doesn't include five portions of fruit and veg, don't shoot them - give them a break. I've spent many hours trying to persuade my lot that broccoli is delicious and doesn't taste like grass - if I'd spent that time writing, I'd have produced twice as many novels. As parents, we try and sometimes we fail. But pointing the finger and blaming working parents is not the solution. Let's focus on educating the kids and getting them to take ownership of what they put into their mouths. I think all schools should introduce cookery lessons. If every 11- or 12-year-old could cook three or four basic healthy meals, wouldn't that make life easier for everyone? Why not empower the children instead of pointing the finger at their over-worked, time-poor, stressed-out parents? The report did show that schools could do more to improve children's health. The children surveyed said that they felt that their schools didn't inform them enough on the area of nutrition and eating disorders. So let's stop wagging fingers at working parents and try to work together to have a better information flow in schools on nutrition and the dangers of eating too much sugar and fast food. Another issue that raised its head was the fact that primary school children felt that not getting enough sleep was a problem. That's certainly something that parents need to take control of. No one can blame school for lack of sleep. The solution to the problems of health is twofold. Education on the issues around health should be addressed in schools, and parents need to follow through at home. But kids, it's up to you to make good choices too. You can't keep blaming your mum and dad for those burgers you eat, the crisps you love and the bars of chocolate you buy. You need to step up and take control of your health too. Healthy bodies and healthy minds equal happy children.